I have a new writing group! And it is so good. We are a small band of young women in our 20s and 30s, founded by comedic romance writer Miss Moppet and including: the power-tool-wielding, world-traveling, journalist and children's writer Victoria Solomon; wacky contemporary romance writer Meika Usher; and myself. 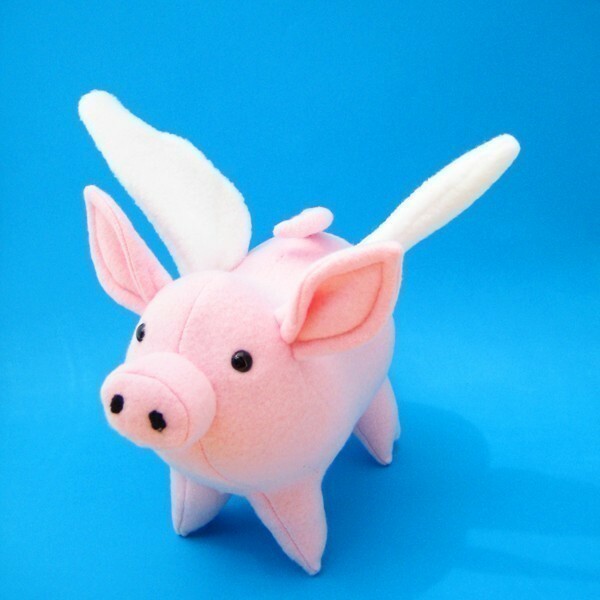 Miss Moppet christened our group the Pigasus Pen after John Steinbeck's winged pig doodle, which he created after being told he'd get his novels published when pigs fly. We are all working on novels or novellas--two romance and two fantasy--which share a wholesome balance of similarity and diversity. The group offers a nice amount of structure that holds us to deadlines and encourages us to write and critique thoughtfully before each monthly meeting. During the first two weeks of each month, each member posts a length-limited (12 pages currently) piece for critique on a private online forum we call The Slop Bucket. No explanations or apologies are allowed to be included--just the work. Late in the month, we meet face-to-face, bringing our marked printouts. Each critiquer takes time to explain and discuss her responses to each piece. We only work on the pieces from those who are in attendance at the meeting; work by absent writers is tabled until next month. While technical errors such as grammar issues can be marked on the printouts, the discussion is only of content and style. The writer sits quietly and listens, without comment, to the critique and has an opportunity to dialogue briefly with each critiquer when she is finished. So far, this format is working very well for us. We are all experienced writers familiar with all the basics of both writing craft and critique. The schedule keeps us accountable and encourages us set aside enough time to be thoughtful with our writing and reading, but it protects us from being overburdened. My work in progress, Briars and Black Hellebore, has been given new life with this motivation to accomplish reasonable writing goals, and I am gaining confidence in my writing even as I gain insights from other smart ladies on how to improve my craft and solve narrative conundrums. Since the beginning of the group two months ago, I have revised the first three chapters of my book (wow, that first chapter is a doozy!) and smoothed over rough patches that had been tripping me up for years. This group is both immensely useful (more so than any other writing group I have attended) and highly enjoyable. Finding the right critique partners is so difficult but so important. It helps to be restricted to a single writing form (novel, in our case) and have just enough diversity within the group to make it interesting without struggling against confusion and chaos. We are all women close in age, with supportive but non-noveling life partners, who live in the same area. But we all have vastly divergent experiences, backgrounds, and lifestyles. Our tastes in literature are similar enough that our critiques support each other well but different enough that each of us has a slightly unique take on each piece we read and our own particular ideas to try out. It's great to have two or three different people critique the same piece, because the writer can quickly get a sense of what consistently does or doesn't work for readers as well as gather a grab bag of various opinions and suggestions to choose from. I'm very much looking forward to honing my second chapter at our second official critique meeting at the end of this month! It's more fun than I thought it would be. I wish i could take credit for it but I probably wouldn't have bothered with doing any work if you hadn't been pushing me to get off my duff and do it! Miss M, you should get the credit! You did all the work and I sat over here going, "Yeah! You do that!" I nominate you Founder of the Pen. Founder of the Pen, indeed! I'm thrilled and honored to be in a group with you ladies. It is beyond exciting for me to have "In Real Life" writer friends. Now, I'm not the only crazy person who hears voices!